What’s wrong with being in your comfort zone? It feels safe, it is protective, I like it. But we don’t grow from it, we don’t learn new things or have experiences that challenge our perceptions or ways of thinking. Art can do that and it can do that in a safe and protective way. Learning through creative activities can be a gentle paddle upstream or can send you plummeting over the waterfall. As we know, exposure to the arts and creativity can be the catalyst for helping us all explore unchartered waters. A familiar experience for the pupils taking part in the Ormiston Academies Trust Liberty Chain project. Liberty Chain encourages participants to combine themes of British Values with a variety of artforms, including; architecture, sound scaping, pottery and Indian music. Creative content that is not usually delivered through the national curriculum; engaging and expressive, but definitely new and unusual. And it’s not just the art forms that are impressing the pupils on this project, all of them have taken part in Cultural Trips, linked to their chosen themes. These trips form a crucial element of this project, created to widen pupils’ horizons, challenge perceptions and push their boundaries. In particular, Tenbury School in Worcestershire, which serves a rural community and could be considered isolated, transport is limited and this has a notable impact on the extra curricula activities that the pupils engage with. 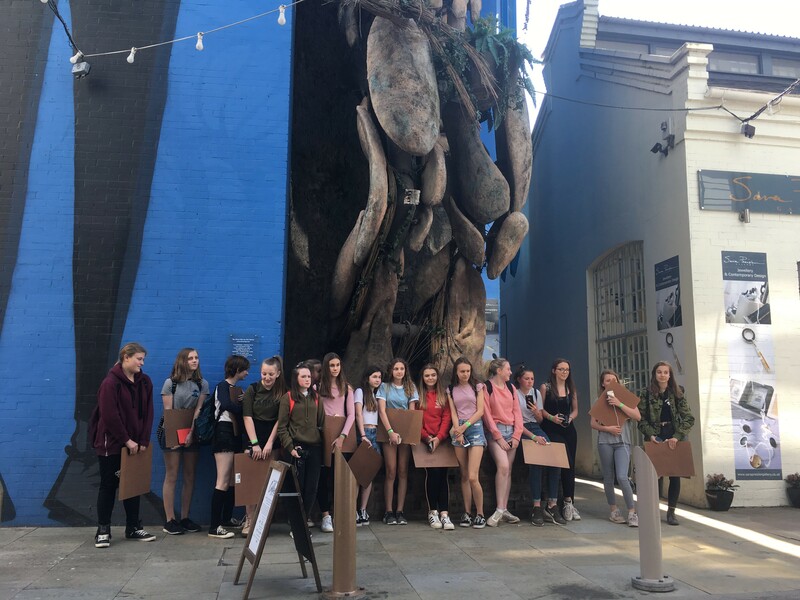 Tenbury’s cultural trip was a walking tour of Birmingham City Centre; starting at the Custard Factory, onto the Chinese quarter and up through the Centre to the Jewellery Quarter (visiting galleries and the library on the way). Before the trip the pupils (sixteen Y 9 girls) had expressed concerns about going to Birmingham, particularly about getting lost and not feeling safe. However, the trip gave the pupils the opportunity to immerse themselves in sights, sounds, smells and experiences that were all new to them, Kate Kearns (Arts Teacher at Tenbury) commented that the girls wouldn’t fully realise how special their experience had been, until they were able to look back on their day, but that it would have impacted on them. The trip also counts towards students’ Bronze Arts Award Accreditation, supported by Arts Council England, Ormiston Trust and Arts Connect. The structure of the learning, required for the effective delivery of the accreditation, has created a focal point and guide for all the teachers leading on this project (all of whom have received advisor training). This has not been an easy ask for them either. They are delivering this project, on top of an already mammoth workload, staff have been asked to develop their own practice, work with and support artists, take part in CPD and feedback sessions to develop elements of the Liberty Chain project, this has, at times, pushed them beyond their comfort zone. But both teachers and students have thrown themselves in to their projects, enabling them all to delve deeper into the creative world and artistic discovery. During the next phase of the project; artworks, performances and installations will be completed with guidance from professional artists and students will start to consider how to share their experiences with one another and their wider communities. After all, who needs a gentle paddle? This is a series of blogs on Liberty Chain, by Ormiston Academies Trust.